I am wondering is it possible to combine, in just one blog post, a short story about one country, one modern IT business, several great friendships, air flights, professional challenges and friendly people everywhere you look? I know the answers is probably no, but I will try anyway. So ok, let's start with a puzzle, if you thought of little mermaid and Hans Christian Andersen, quantum mechanics and Niels Bohr, famous Hamlet's "To be or not to be" in Shakespeare's old play, amazing cuisine with cookies, pretzels and Carlsberg beer, LEGO world, handball team and Caroline Wozniacki, what country would it be? The answer, for a very few of you who didn't guess is of course Denmark. One of top developed country of European Union. According to the United Nation's first ever World Happiness Report, Denmark has taken the top spot followed by Finland, Norway and the Netherlands. When I first read about this I was skeptical since happiness is a very relative thing and I am sure all people in the world are equally happy and unhappy from time to time depending on daily moodiness and events that drive us. However, now after my second visit to Denmark and my colleagues and friends I tend to change all the skepticism and maybe better understand the global happiness or social happiness if you will. According to the study one of the conclusions could be this (and I am paraphrasing the report): "While basic living standards are essential for happiness and after the baseline has been met by majority of people, social happiness varies more with the quality of human relationship than with income." Simple truth with no simple explanation but if you ask me I think that history of any society is deeply embedded into everybody's DNA and as long it is not filled with lots of conflicts, wars, animosities and hard times the better human relationships become. Several years ago, around the time of birth of my son I started outsourcing for a Danish consulting company within team of developers providing coding in Microsoft .NET environment for various purposes. Very big number of danish companies are using Windows servers and other client-server solutions for their businesses based on Microsoft environment and according to my humble opinion I fitted in nicely due to my expertise and experience in the field. Actually, contrary to most other jobs, involving in IT development, more than having various degrees and initial knowledge, requires ability to change and learn new stuff. The technology is changing rapidly and after more than five years of telecommuting, when it all started with simple web applications, we are currently involved into more sophisticated technologies like Lync and SharePoint development, connecting them with mobile world and providing the right information and in right time. All those activities are followed by financial subsystems centered around Microsoft Dynamics C5 equally challenging from one developer's point of view. I remember the days back in 80s and 90s when developing business software was completely different comparing to present day. This is no one-man-show any more. The complexity of the IT support, consulting and development reached higher level of understanding and I mean for both sides, developers and customers. Even though I am outsourcing about 1600 kilometers away from the office this would not be possible without internet, daily communications, reporting, solving puzzles, audio and video conferencing, brainstorming and live meetings. Dynamic IT world is also affecting consulting companies and five years is a very large period of time for all of us as well, so recently as a result of last year merger, old/new company continued joined efforts within new surroundings and teamed up for future challenges. I am really enjoying working with new colleagues and friends and feeling about new environment is great. 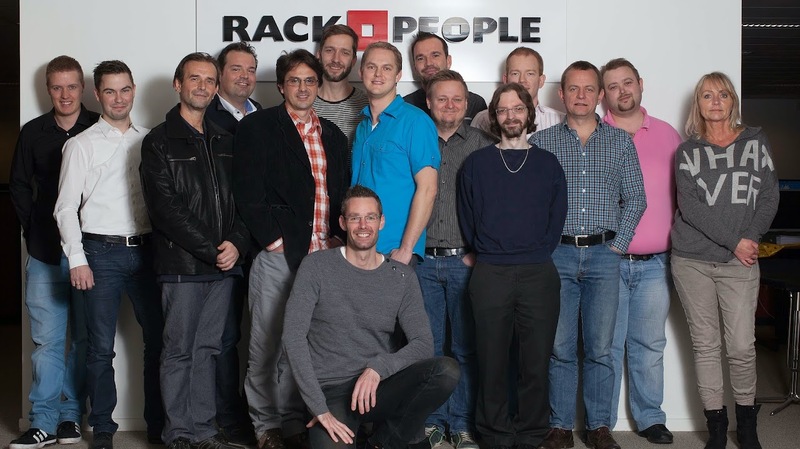 Not so long ago I visited my friends at Rackpeople for couple of meetings and some other on and off work activities in regards to future projects and also for simple socializing with the guys and some brainstorming sessions in local brewery house (where else brilliant ideas come from J). To be perfectly honest, since I was staying only one business day I didn't expect much of productivity in the office, at least regarding software development area, but I had several targeted meetings with all the projects I was involved with and the direct affect was visible after only couple of days after my return as I was able to use the talks and implement all the agreed functionalities faster than if I would do it alone, at least when it comes to choosing appropriate technologies or API functions or simple ways of how to build some specific layer of functionality in the bigger project. Of course, like any business trip the best part came after work hours where office environment was replaced by "Custom House" restaurant and an "Ice Cream" walk along with brewery house in the 17th century Nyhavn district at the end of my visit. This is part of Copenhagen you don't want to miss. I still can't choose what was the best, american classic steak, delicious ice cream in domesticated cones or perfect draft beer. Regarding the whole event from a sightseeing point of view what maybe impressed me the most was the Sun still standing very much above the horizon while the local clock tower was showing 22 hours and a change. It was the cost of living on a round Earth so much north away from the equator. 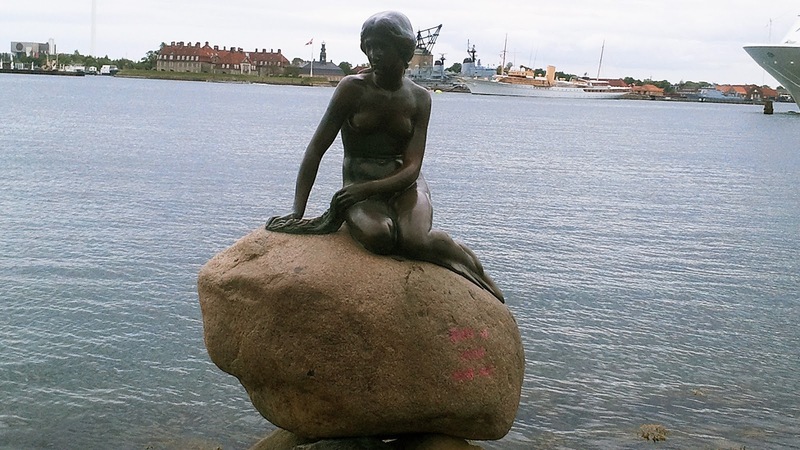 I enjoyed very much the site-seeing while driving through Copenhagen, visiting famous little mermaid and most of all our talks about lots of different topics. With this blog post I would like to thank Jesper, Claus and Mark for amazing evening. 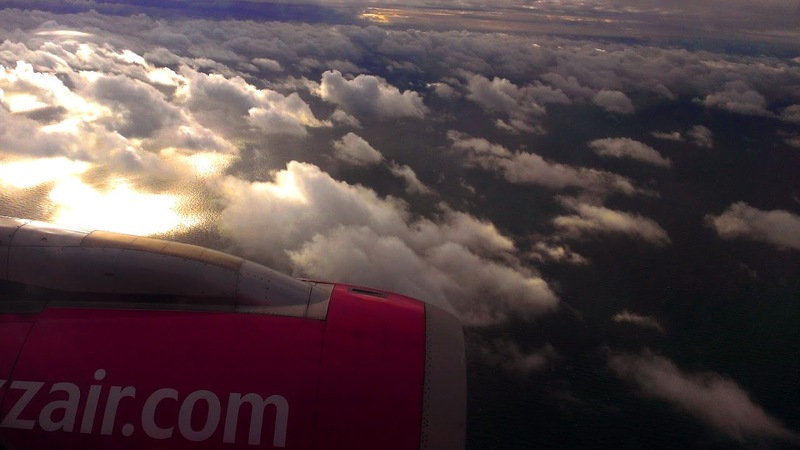 I am not a frequent flyer but every now and again I am using air traffic and maybe now is my chance to write about my experience about flying in a South-North straight line between Belgrade and Copenhagen. This last flight was pretty much smooth without much turbulence, probably because the weather was more or less the same during whole 1600km long trip. However, two years ago I was taking the same flight during the hot summer and weather wasn't the same in the beginning of the flight comparing to the latest half an hour and descent itself. The moment the plane entered the Baltic Sea from the continental Poland the weather changed dramatically for the worse. I remember I was having a wing seat and saw the jet engine started seriously vibrating up and down. It was pretty scary, but the crew did not pay much attention so I reckoned it was pretty much normal. The other travelers wasn't so calm, especially one older lady that had to use the oxygen mask after landing which also was a little disturbing as the plane needed to take couple of sharp turns at very low altitude in order to align with the runway. One more thing also attracted my attention and this is how clean and spacious are danish capital, suburbia and small towns in the countryside. Due to lots of rain over the year, everything is green and very compelling.